So NASCAR racing is now 'too safe,' and no longer a death-defying sport? And that's the reason for lower TV ratings? Don't make me sick. i.e. – No one dies any more. As if the element of sudden death is supposed to be racing's attraction. It makes me want to puke. I was at Charlotte when Dale Earnhardt Sr. ran his first race in 1975 and I was at Daytona he was killed. I was at Talladega, in the infield hospital, when Larry Smith died. I was at Daytona when Neil Bonnett died…and at Darlington when he got his brain scrambled so bad he couldn't even recognize his wife….and at Richmond when he got it scrambled again in that brutally sudden stop. I was at Atlanta when Grant Adcox died. I was at Charlotte when Blaise Alexander died. I was at Michigan when Clifford Allison died. I was at Michigan when Ernie Irvan nearly died, and lingered in that netherworld for so long. I was at Davey Allison's funeral on that hot summer afternoon in Alabama. I was at Michigan when Rick Baldwin was injured, in a crash that eventually led to his death. I was at Charlotte when Sportman drivers David Gaines, Gary Batson and Russell Phillips died, one man burned to death on an awful, awful Friday night. I was at Daytona when Joe Booher died. I interviewed Mark Donohue a few weeks before he was killed in Austria. I was at Martinsville when Richie Evans died. I have talked with Richard Petty about the gory details of Friday Hassler's death at Daytona. I was at Loudon when Kenny Erwin died. I have talked with Kyle Petty about Adam's death. I was at Daytona when Bruce Jacobi had that terrible crash that eventually caused his death. I was at Daytona when Slick Johnson died. I was at Bristol when Alan Kulwicki died in that plane crash. I was at Daytona when Ricky Knotts died. I was at Watkins Glen when J. D. McDuffie died. I was at Daytona when Rodney Orr died. I was at Talladega when ARCA driver Tracy Reed died. I have talked with Joe Nemechek about the death of his brother John at Homestead-Miami. I was at Talladega when Gene Richards died. I was at Atlanta when Terry Schoonover died. I was at Charlotte when ARCA's Eric Martin died. I was at Daytona when Don Williams was so seriously injured that he was in that long, lingering coma that eventually ended in his death. I was at Daytona when Dash driver Joe Young died. And there have been more, too many, too many. After a while, it becomes just numbing. I have shed enough tears in covering this sport. I have written more than enough obituaries. I have analyzed too many deadly crashes. That just makes me sick. Submitted by fireballroberts on Sun 10/25/2009 - 18:14. I was at Martinsville when Charlie Jarzombek died. I was 12 at the time. The wreck did not look overly serious at the time compared to many I had seen at a young age, but it was a driver's side impact to wall after he got spun across the old grass section and back across Turns 1-2 at Martinsville. I remember that sick feeling I got in my stomach hearing the news on the MRN broadcast as we were leaving the track. Anybody that watches racing should know that death is a possibility, but anybody who watches it for that reason is sick. Submitted by on Mon 10/26/2009 - 03:18. No, Mike, the deaths are not what is turning us old-time race fans off; NA$CAR is, with their cot..the "mystery" cautions, and the general way they now run the sport. I'm sure you've read Greg Fielden's books...The 40 Years of Stock Car Racing etc... He spent his whole life in the old NASCAR, not the new NA$CAR. He suffered a stroke a few years ago, and he no longer works for FOX. He watches very few races, and never any when football season starts. He hates the new NA$CAR, as most of the "old" fans do. I guess I could use me as a very minor example. I did the PA for Speed Weeks in 1969 at Daytona. In late 2008 I e-mailed Daytona International Speedway, requesting the purchase of 2 tickets so I could spend the 40th anniversary of my announcing at the track. Guess what, I'm still waiting to hear from them. No, it's not the deaths, it's NA$CAR that is its own worst enemy. Did you see the empty seats in Martinville? OMG! Submitted by on Mon 10/26/2009 - 03:26. Submitted by on Mon 10/26/2009 - 04:34. I was watching the Daytona 500 when Dale sr. was killed I could not believe it. and i tell you if it wasnt for Junior i would not be watching Nascar any more. that shocked me. any one who says the accidents are the best thing is sick in the head. have some common decency think about the families of those people who died they dont think its funny they miss there loved ones. Submitted by on Mon 10/26/2009 - 06:21. Yes, I read that garbage yesterday also.. Just goes to show everyone how out of touch ESPN is concerning Nascar fans.. The article came from their website.. Submitted by on Mon 10/26/2009 - 06:53. I understand your anger at the notion of racing journalists and fans yearning for the dangerous old days, Mike. I am also happy no one has been killed in NASCAR's top three divisions since Sr. But I have to be honest - the scariest stock car racing doesn't occur in NASCAR Cup/Nationwide/Truck any more. After attending the Winchester 400 CRA race for the first time last weekend, I encourage any NASCAR fan longing for menacing concrete walls and new track record lap times to seek out a high banked short track race. Go to Nashville Fairgrounds this weekend and your jaw will drop at the speeds and the courage exhibited by the super late model competitors. No safer barriers. No COT's. Just tube frame, offset chassis built to go in a circle as fast as possible. There's a reason Kyle Busch started a late model team and I would argue he is "old school", and wants to prove himself on the toughest, scariest race tracks remaining in America. In this day of X games mega ramp and Super cross, the only stock car racing that can compete is short track racing. The original extreme sport! Submitted by on Mon 10/26/2009 - 08:01. It's not that the sport is too safe that's killing the ratings. It's a combination of things. Poor management decisions, a spec series car, vanilla flavored drivers, poor TV coverage mandated from Daytona,boring cookie cutter tracks, and alienating the core fan base just to name a few. Submitted by STP43FAN on Mon 10/26/2009 - 08:19. I've heard that argument before and it never made sense to me that people go to racing to see people get killed. Submitted by on Mon 10/26/2009 - 10:50. Based on what you have written above maybe you are the problem and should no longer attend NASCAR races as death seems to be wherever you are. Did you by chance have lunch with David Poole right before he passed away because if so you left him off your death list. Please do not go to Talladega this weekend. Since NASCAR is so safe (and we are glad it is) it will be just our luck the no named fan (Us) will expire on the drive to or from Talladega from Texas. Thank you in advance for staying home this coming weekend. Submitted by WScott34 on Mon 10/26/2009 - 14:20. Great story Mike. When I was student at the Art Institute of Atlanta, I was fortunate enough to do some freelance photography work at the Atlanta races ('84 - '87) with the Associated Press via Bureau Chief, Gene Blythe. During my freelance days there, I witness the racing deaths of Terry Schnoover and Stuart Lyndon during a July '85 ARCA event in which virtually no press covered the race. To have actually witness the stunned horror on the crews face, the families, the garage area and on pit road wonders "is it really worth it?" But they soldier on for the glory of the win and for our entertainment. In looking at your list of racing deaths, I wondered how many would have been saved from the used of the HANS device,(many racing deaths were from massive head and neck injuries) reinforced racing seats, and other safety mechanisms created in the last 9 years or so. Submitted by on Mon 10/26/2009 - 20:39. 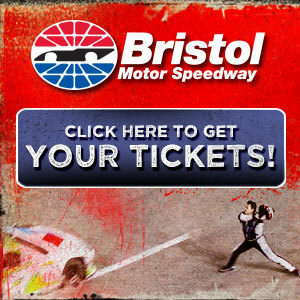 Look what they did to Bristol...they wanted more grooves, so they neutered the track. I literally fell asleep in the stands. They wanted to level the playing field with the car of tomorrow..and they ended up giving the big R&D teams a gift and the small teams all fight to survive. The sport has become more about the engineering that occurs off camera during the week and less about talent and boldness on track. They are throwing fake end of race cautions and forcing messy endings to undo the massive inequality among the teams. The only excitement during the race is in the restarts before the top 3 or 4 teams run away. It should also be noted that 5 years ago the stands were red, blue and rainbow. Dale Jr, Gordon and Rusty fans were the bedrock of the sport. These fans were not only driven by performance but also deep loyalty. I remember seeing "8" tattoos and campers draped in blue gold deuces. This loyalty is gone...NASCAR has lost much of its base because of lack of continuity. The emotional connection that forged this loyalty requires that people connect with the personalities. Jimmie, Biffle, Kenseth...these guys are successful because they are lap robots. They don't show emotion. Nothing unexpected occurs when they win...nothing occurs unexpected when they lose...it is all way too vanilla. The people who love these guys come from their sponsor companies...they have a connection to the logo on the car. It is nothing like rooting for Darrell Waltrip dancing in his big 80s trucker hat or siding with Rusty in a fight on pit road. NASCAR needs to understand their target consumer and work in the background to help build and protect the continuity and emotional connection. They need to promote uniqueness and personality. They should work to bring sponsors that come with a loyal fan base and not just a fat check. Imagine the fans that would come to support a car sponsored by Harley...worth a lot more than money. Put Kyle Petty in that car and you have an emotional connection. As you can read...I have an emotional connection to the sport and it is frustrating to see it flailing. Submitted by on Wed 10/28/2009 - 09:02. You had me until the Kyle Petty comment. These guys who are content to run in the back of the pack for years every week and still taking their fat paychecks home is the death of some of these teams/cars. They are able to do it because they found a way to play on the fans sympathy. When they cant find anyone to fund their Sunday drives anymore after they have run it into the ground---its over. Submitted by STP43FAN on Thu 10/29/2009 - 13:27. 1 - Bump-and-run is not racing. More Talladega, absolutely - more lead changes, more fighting for the win, more savagery in the actual racing - i.e. the entire field fighting for the lead regardless of whether it's "the right time." More Darlington, not at all - Darlington is an unraceable dump. More Richmond, no - this is a superspeedway league. Less cookie-cutters - again, no; the "cookie cutters" are raceable big tracks. More passionate altercations - BS. Altercations are garbage-dump immaturity; if you're a professional, you act like a professional. 2 - "Look what they did to Bristol - they wanted more grooves so they neutered the track." Though better than it was, it's still unraceable and a dump. Bristol was worthless before; all they did was try to make something positive out of it. 3 - The sport is indeed about engineering and not about talent. This is why the high technology has to be taken out of it and the spending stopped. Take power steering out and make them have to muscle the steering; bolt on so much drag that it becomes about the draft even on the intermediates; restrict the power so they have no choice but to open-throttle it - make them have to race all out to win and not have to rely on engineers. 4 - There is no such thing as a fake caution - NASCAR can't gain anything from it and it is too risky to the competitive integrity of the races themselves to be worth it. It's a longstanding joke but it's all myth. 5 - Emotion is hideously overrated. Richard, David, Cale, Issac, those guys lacked emotion - they interacted as "boring" professionals. Even Buddy Baker, Benny Parsons, and Lennie Pond (who had a pretty stout following in the Virginas and Carolinas) lacked flavor. Only Bobby Allison and later Darrell Waltrip had "flavor," and while it made Allison popular that was more because of his Chevy connection when Dodge and Ford were monopolizing the sport and also because he was more restrained than the loudmouthed Waltrip in their 1980s rivalry. People followed Richard, David, etc. because they could race and because they fought for the win. They didn't have personality. Emotion is overrated. The sport needs lead changes and more winners. It doesn't need "uniqueness" or "personality." It has those in its TV deals and it's choking on personality. "Put Kyle Petty in a car and you have an emotional connection." Sorry, but after spending almost ten years watching Kyle quit on races as soon as the flag dropped and undercutting Robin Pemberton when he was with Petty Enterprises in 2002, I don't have an emotional connection to him. To Richard, yes, because he was and is class with professionalism. I have a connection to the sport based on loving the competition and respecting the professionalism. Flamboyance and "personality" just get in the way. Submitted by on Mon 10/26/2009 - 23:37. Why does everyone keep writing these "why" articles? Everyone with a lick of sense knows why. The question is, do they have the guts and the willingness to put greed on the back burner to do what they need to do? Submitted by on Tue 10/27/2009 - 17:27. I for one am glad that we are losing fans that want to see crashes that kill or injure people those fans make me sick and I don't want them around a sport that I love to watch. That said I do wonder if we have gone a little to far on safety, I mean almost every blown tire or car touching the wall brings out a caution and don't even get me started on those debris cautions and the warnings about ruff driving. Safety should be first and foremost but I do wonder if some of those great drivers that gave their lives for the sport would be rolling over in their graves if they knew what was going on in the sport. Submitted by on Tue 12/29/2009 - 09:27. My name is Charlotte Gaines Small, the sister of David Gaines. Thank you for addressing this news article. My brother was very dedicated to the sport of car racing and His Lord, Jesus Christ. We lost a good man that day.